Heat oven to 350°F. Grease 2 (18x12-inch) pans with shortening or spray with cooking spray. 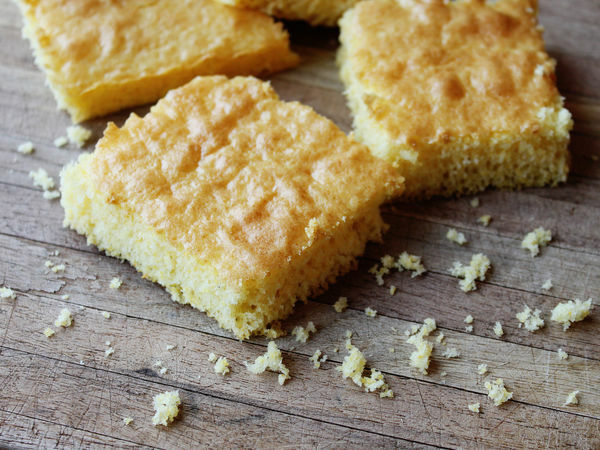 In separate medium bowls, make cornbread batter and cake batter as directed on pouch and box. Pour both batters into large bowl; beat with electric mixer on medium speed until combined. Pour evenly into pans. Cut each pan into 6 rows by 4 rows. Serve with your favorite chili or soup. This makes a lot of cornbread. You can always freeze one pan for another meal. Tastes great with a smear of butter and a drizzle of honey!